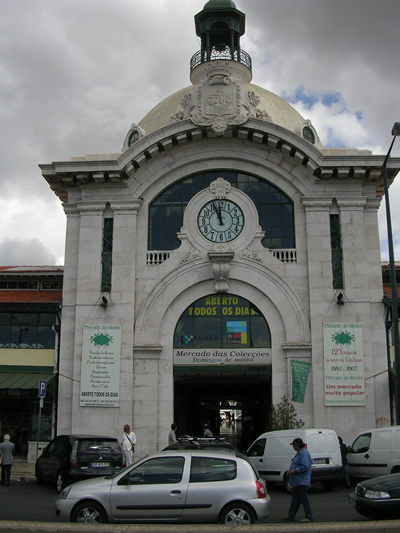 Near the Cais do Sodre train station, on the other side of the road, you will see the beautiful building of the Mercado da Ribeira (market near the river, since 1882), topped with a Moorish-style dome. Worth a visit! Market: open daily 05:00 – 14:00. Closed on Sundays. 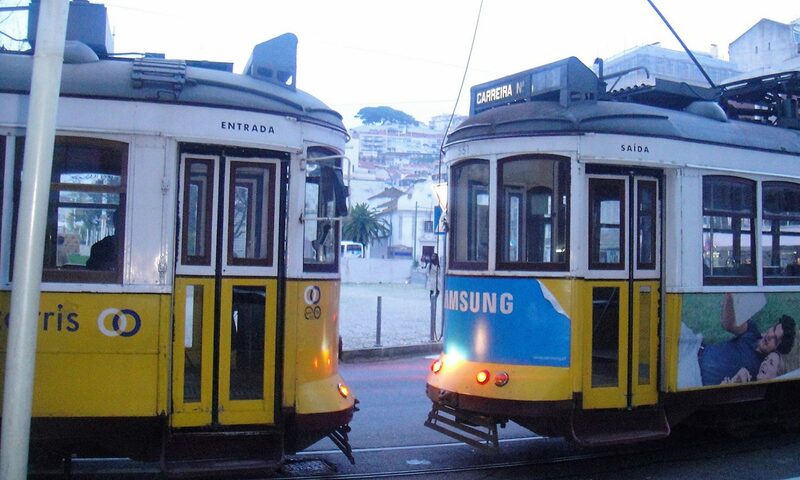 Address: Avenida 24 de Julho Lisbon. 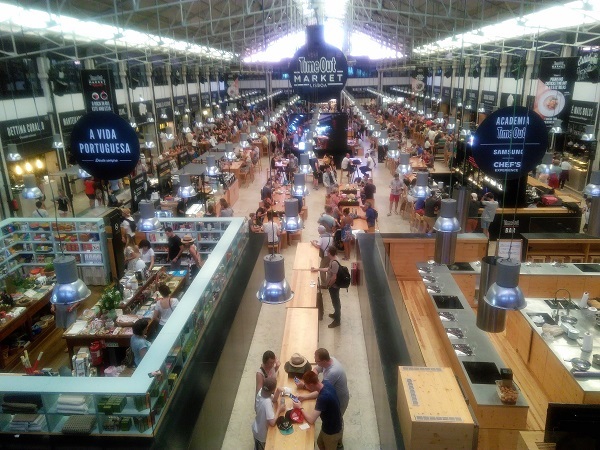 The cities biggest open food market is selling everything: from inky octopus and fresh seafood to fabulous fruit, from real Portugese products like ‘hot’ piri-piri to funeral flowers waiting for a dead body….. 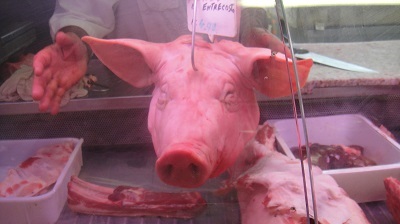 This is Lisbon’s cheapest market. 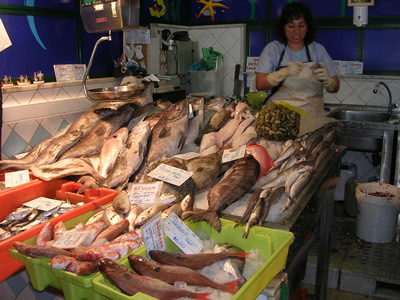 The seafood forms a large part of the Portuguese cuisine with 1001 ways to cook it. 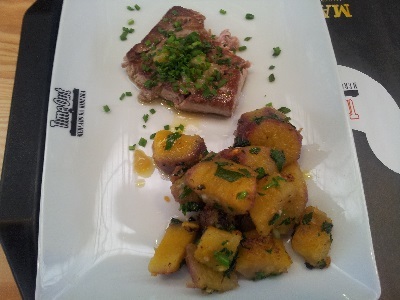 Bacalhau is the Portuguese name for cod, a very popular fish, so much that they have a different bacalhau recipe for each day of the year! 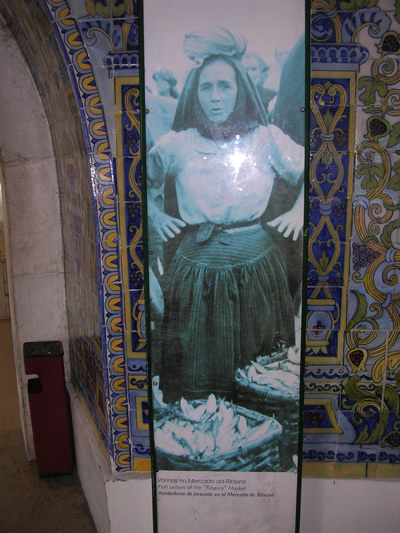 In 2007 the market celebrated a 125 year of existence: beautiful pictures are on the walls from fish sellers (varinas) of the Ribeira Market from a hundred years ago, when the fishermen moored their ship here to sell the fresh fish. On Sunday mornings there is a Collectors fair from 09:00-14:00, like coins and stamps. 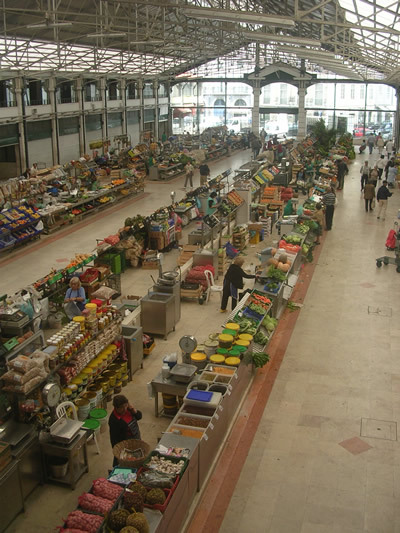 The 2nd floor of the market has also been converted into a touristy ‘cultural’ centre. 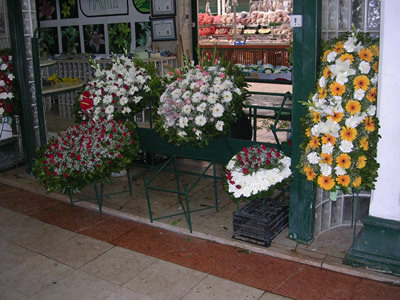 It sells locally produced items such as port and honey, and handicrafts. 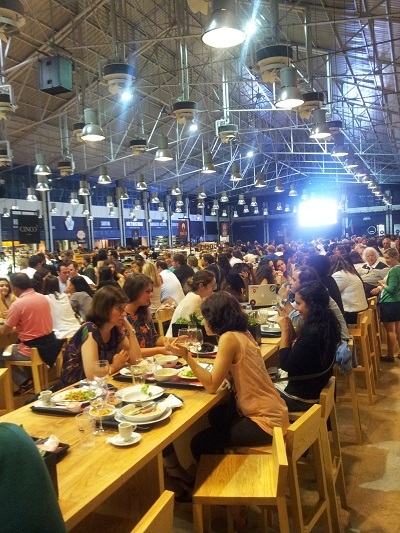 The area gathers about 30 spaces, providing around 750 seats. 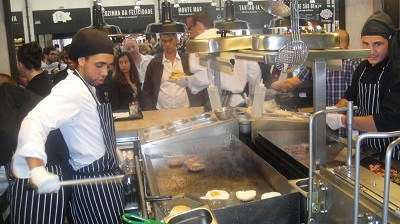 The best restaurants and chefs of Lisbon are represented. 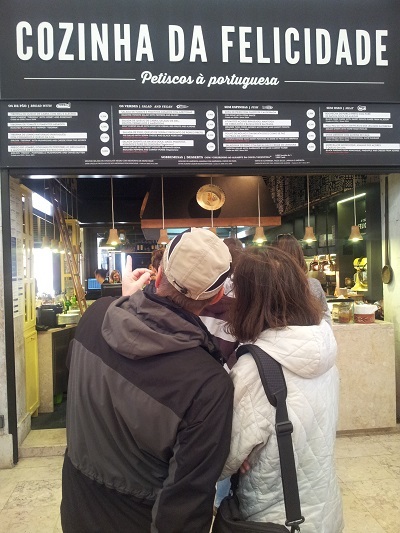 The idea is simple: you grab the food and drinks from one or several restaurants of your choice (not necessarily the same as your family and friends), and go sit in the food court where you’ll be able to interact with everyone there. 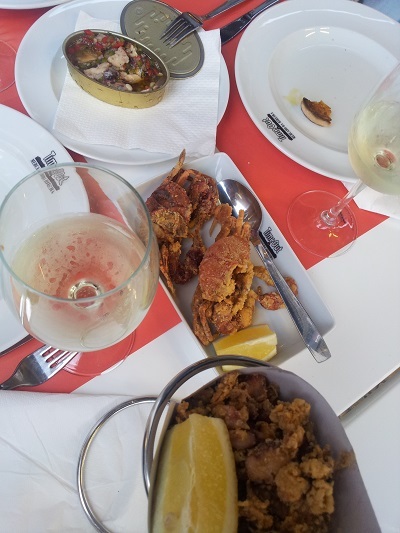 Small plate dishes are called petiscos in Portugal, so basically the same as Spanish tapas. (More…. ). Don’t say this to the Portuguese, the Spanish invasion (1762) is still fresh in their memory…. 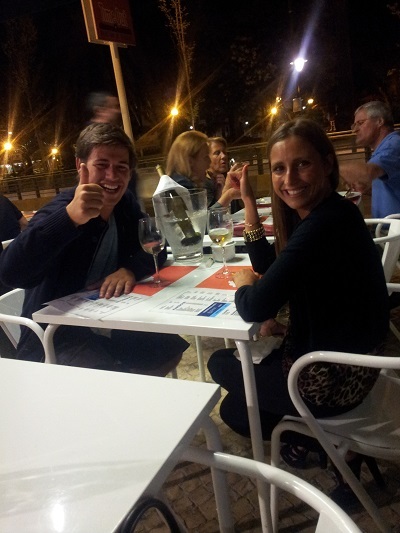 Also new are the restaurants outside the old market: we enjoyed fresh Atlantic seafood and a delicious Portuguese wine. visitem este mercados e lindo e os produtos sao maravilhosos como cliente tenho pena que se esteja deixar morrer a tradiçao as quartas de manha ainda tem mais alegria pois as flores invadem um dos lados do mercado e enchem no de cor………….visitem…………………. Hello, where can i buy tickets for New Years Eve Party?